We convened this meeting as a teleconference using the Zoom.US service on September 24, 2018. 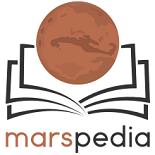 Marspedia is a free online encyclopedia with articles covering all aspects of the planet Mars, including past historical missions to the planet, current knowledge about Mars, technology related to ongoing exploration, future concepts such as terraforming, and plans for human exploration and settlement of the Red Planet. The Marspedia project aims to a build out a great resource for people of all ages to learn more about the planet Mars, promote the human and robotic exploration of the Red Planet and encourage STEM education. In Fall 2018, Marspedia is offering an unpaid internship program in partnership with several Universities worldwide. This program is perfect for Science Journalism students who’d like to build their skillset and work on a hands-on project that has tangible results to help the field they are entering. Marspedia staff will provide training on how to use Mediawiki (our publishing platform), will maintain a task board for interns, and will check in regularly and during our weekly editorial call to ensure they have everything they need to contribute effectively to the encyclopedia. Exact Time commitment agreed upon ahead of time. A time tracking tool will be utilized. Students completing an internship for academic credit must typically complete at least 120 hours over the course of the Fall/Spring/Summer program. Credit will be awarded separately by the university. Non-credit internships have a time commitment but it’s soft, not hard. Marspedia reserves the right to terminate an internship at any time. We reviewed the progress of the Needed Articles Spreadsheet which the entire Editorial Subcommittee is working on. The intent of the spreadsheet is to capture all the article ideas we've had in the course of creating our new Category Hierarchy, and to come up with any new ideas in looking at each category. The spreadsheet is organized with all the categories in column A, and columns B-C-D and beyond can be used for ideas for articles or article groups. Anybody is free to add to this spreadsheet. Once we have enough ideas, we will prioritize this and update the Needed Articles page on the wiki. This will also be the source of work assignments for editorial team members and interns to improve the wiki long-term. James to update flyer based on our discussion. James to update the wiki with program info. Everybody to continue adding to Needed Articles Spreadsheet.